Adobe Business Catalyst is Closing Down, Considering WordPress? Adobe Business Catalyst is closing down in 2021. The thought that your website can be shut down at any moment should ring alarm bells about the nature of running your website on proprietary, hosted platforms. Time to go open source. WordPress doesn’t have a sole commercial owner, and as such isn’t dependent on any one company keeping it alive. The top contributors to WordPress could quit the platform tomorrow and an army of developers would take their place. If you’ve got a website on Business Catalyst the clock is officially ticking. This guide isn’t a technical “how-to” on migrating away from the platform. But a piece-by-piece guide on replacing the functionality you’re comfortable with, with their WordPress equivalents. Tell USA Today, TechCrunch or Quartz. Fact is WordPress can be as simple or complicated as you need it to be. You can even use it just as a back end content management system and detach the front-end of the website completely! The flexibility of just how complex you need WordPress to be is a huge part of the appeal. Not true. While WordPress is a huge target due to its incredible popularity. It doesn’t take a lot of work to secure it. Install a reputable security plugin. Keep everything updated. Automate regular backups. WordPress sites get hacked when they run out of date plugins and themes, or use insecure passwords. Not entirely true. You’ll need to monitor the site for updates but when you keep the number of installed plugins to a minimum, you cut down on notification nagging too. You can easily keep everything updated with a single click. (So long as you’re running those automated backups). We test all updates on our development and staging environments first, and then push live. And with regular monitoring are immediately alerted to sites that have gone down, or pose security issues. 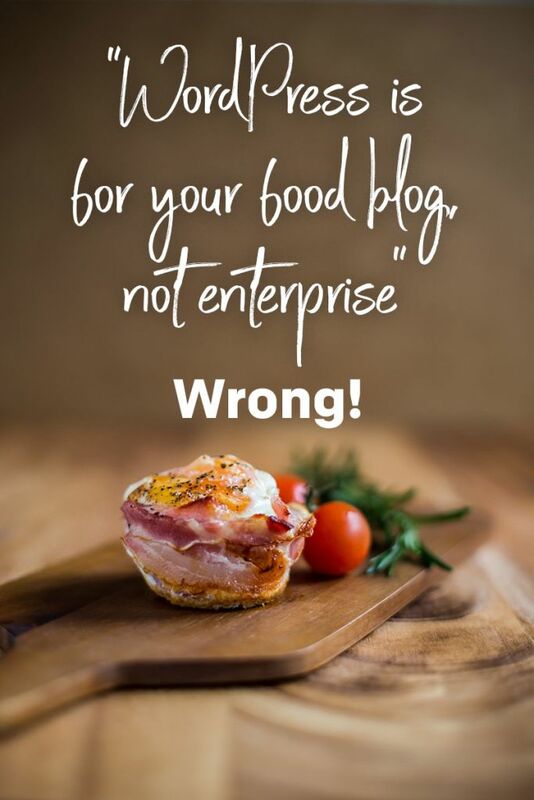 We often have to explain the difference between ‘good’ WordPress and ‘bad’ WordPress. In a nutshell, because it is a platform that anyone can install, many amateurs do. This leads to amateur sites and an amateur reputation. But it’s not the full story. Our WordPress sites are completely custom designed. We start from a blank slate and build only what you need, using only the plugins that are necessary. Optimised for speed and security. And because it’s open source, should a black hole open up and we disappear tomorrow, you’ll find someone else to pick up where we left off. All without the threat of some corporate owner loses interest and turns your website off. It’s also much easier to export your content out of WordPress should you move somewhere else in the future. Most proprietary technologies don’t want you to leave, so there’s no incentive to make leaving easy. First a warning, I’m going to overuse the word ‘plugin’. This is how WordPress works. If there’s something you want done, you install a plugin to add that functionality. And depending on how common the task, there may be one, ten or fifty different plugins. Through our years of experience in WordPress development we’ve settled on a list of must-have, and situation-specific plugins. But are often reviewing new ones all the time. A final word, where something can be accomplished okay in WordPress, but would be better in an external service, we prefer the latter. For example using service Campaign Monitor instead of the plugin MailPoet, more on this below. This solution is a bit of both. We recommend Google Analytics, along with the plugin Google Analytics Dashboard for WP. It’ll setup the tracking code, and give you this nice interactive widget on the dashboard. While there are complex CRM plugins out there, if you need something complex, use a purpose-made CRM service and integrate it with WordPress where possible. For contact forms with logged submissions we’re currently recommending the Ninja Forms plugin. It offers an easy drag-and-drop interface that most people will find easy to use. Otherwise if you’re looking to code your own forms, Contact Form 7 is reliable and lightweight, and will log submissions with its companion plugin Flamingo. The most popular plugin for creating marketing campaigns from the WordPress dashboard is MailPoet. While it works, it’s not as flexible as MailChimp or Campaign Monitor. There are many integrations with these two platforms from your contact form, or to add a subscribe field. So you’re often best to link your website with services that do a better job. Let your website get on with being an awesome website. The peculiarly named ‘Web Apps’ section of Business Catalyst is what we would call Custom Post Types. Out of the box WordPress has two types of content: ‘Pages’ for static content, and ‘Posts’ for content where dates and categories matter. To add more you’ll need to add a Custom Post Type, and this is most easily done with Custom Post Type UI. For custom fields of content you cannot go past Advanced Custom Fields. Perhaps the only plugin we’ve installed on every WordPress site we’ve made. It includes a staggering amount of functionality and field types. You may need to make edits to your theme to support Custom Post Types, and you’ll definitely have to edit your theme for Custom Fields. 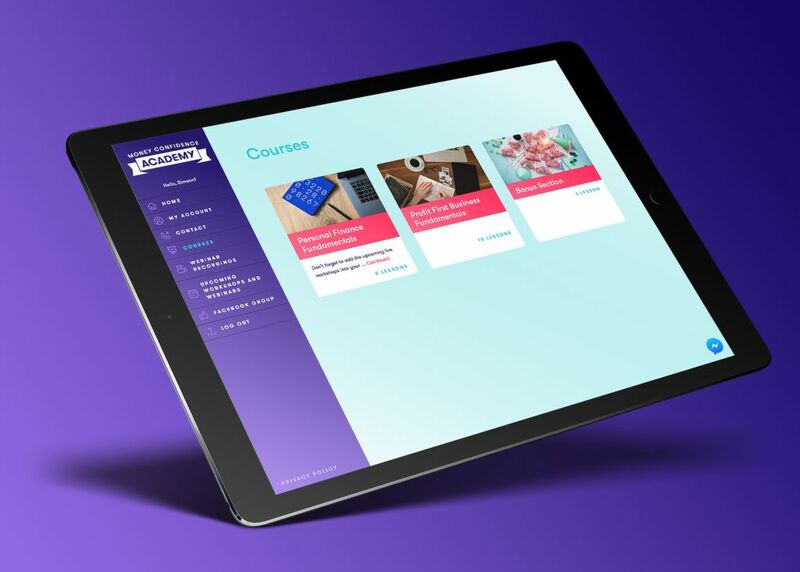 Money Confidence Academy is an online course we have built with member-exclusive content running on WordPress with a custom theme. This is a big one. We’re currently doing quite a lot of work with a plugin called Restrict Content Pro to offer paid memberships and exclusive content on site. It’s our favourite type of plugin in that it’s lightweight at getting just enough done to get your started. But flexible enough to let you build out anything more you need. We’ve recently put this to work on a membership website where members sign up, have content created on the site for them and a front-end form so they can start submitting changes to their own content. Without ever looking at the WordPress dashboard itself. In WordPress the layout of your website’s presentation is called a Theme. Theme’s can be easily swapped, but if you’re developing websites specific to a business, you’re unlikely to ever change it. You’ll need to understand some PHP, and the basics of how WordPress uses certain files to put together your layout. WordPress does include support for making edits to the code of your website theme. But we don’t recommend it! Work locally, test, push changes live. Editing on-site is fast, sure, but should anything ever happen to your website, without a backup, you’ll be lost. Also you risk confusing on-site users if your site changes as they move throughout it. Business Catalyst supports the Liquid Template Language to work with variables in its code. WordPress doesn’t support this, but there are a number of other templating engines you can use in theme development. Our starter theme of choice, Sage 9, uses Laravel Blade. But this theme is not a great starter theme for people new to WordPress. If you’re reselling sites to clients of your own you’ll likely want to white-label the dashboard. For that there’s a plugin White Label CMS. It will replace all the WordPress logos with your own and remind your clients who it was that built their website. Great to stay from of mind. There’s almost no limit to what you can do with WordPress. So if there’s something missing from our list above, be assured it can be done. These are just the basic Business Catalyst features above that you’d want to solve first in a migration to WordPress. 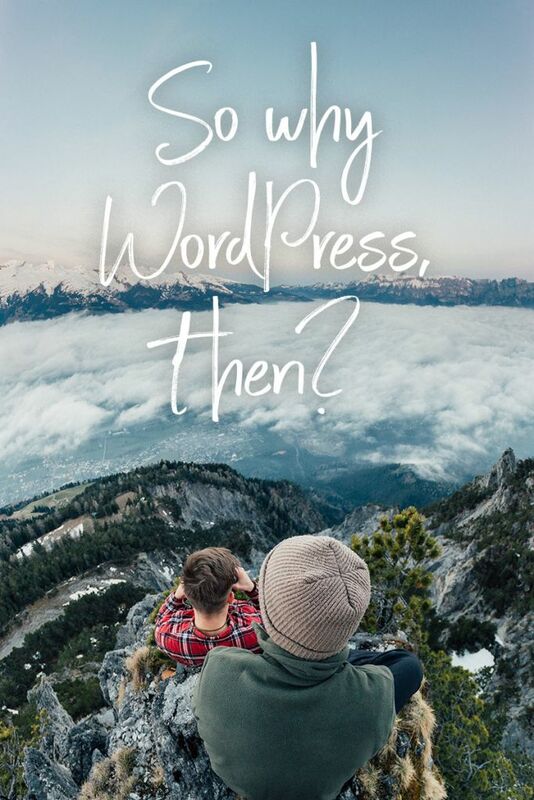 If there’s anything more you need to do, and you’re interested in working with WordPress, get in touch and we’ll get started.